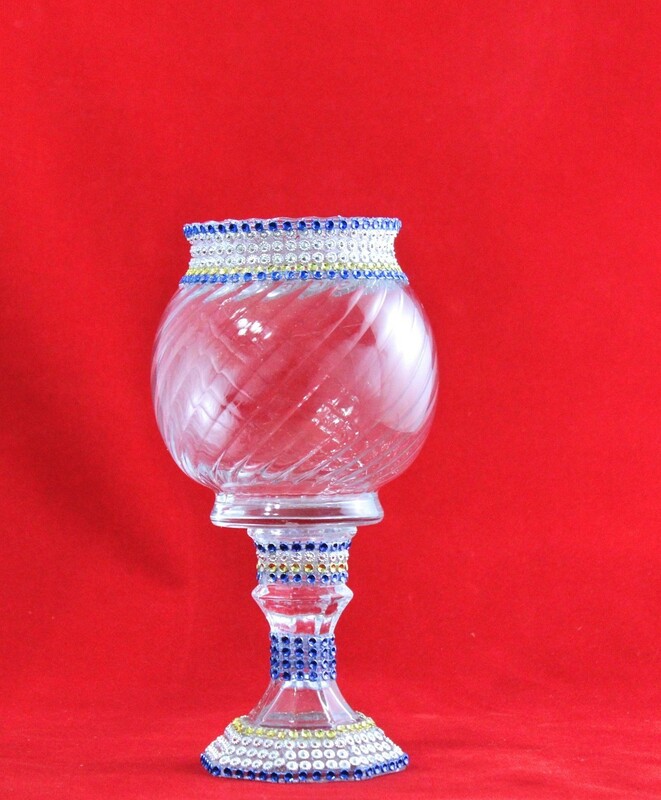 Beautifully adorned round ball vase. This vase is already beautiful. We have adorned it with blue, gold and silver bling to give it the extra flare. This can be used in many different ways. If you are into home décor this piece is great for sprucing up any room as a flower vase or potpourri or other trinket holder. You can use as center pieces for your event or celebration. Ideal for baby showers as well. This piece is hand decorated and it is truly unique. If this does not fit your color scheme for your home or event motif, please contact us, we are more than happy to assist you with your special order. (NOTE THAT ALL FEATHERS, GEMS, PEARLS ARE FAUX).